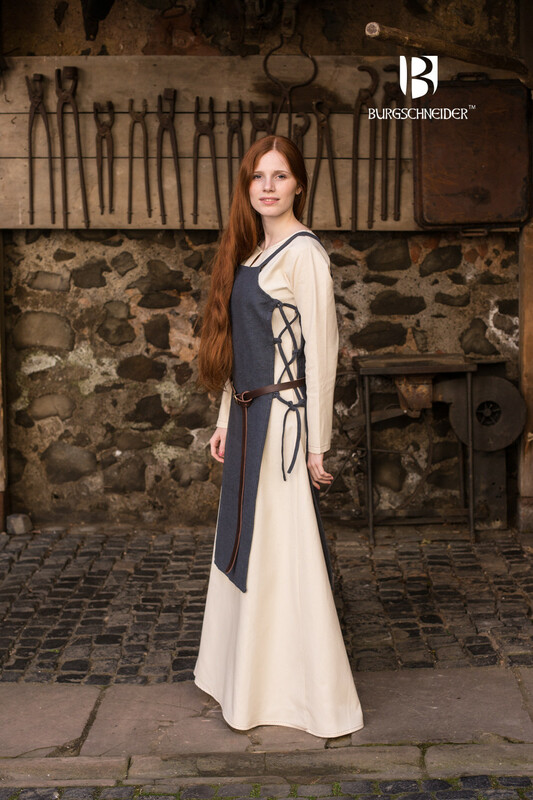 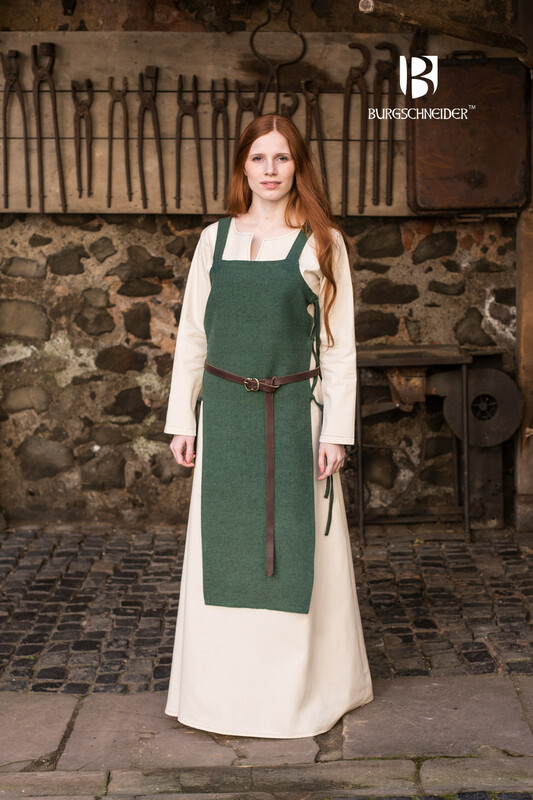 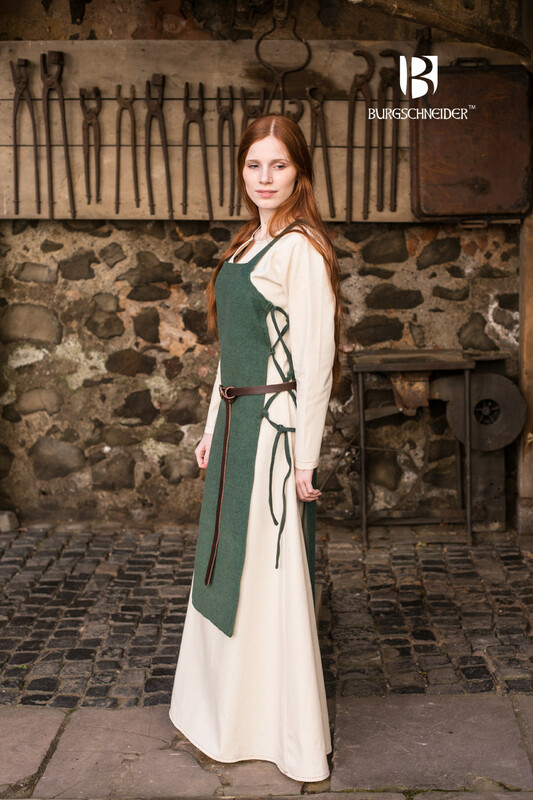 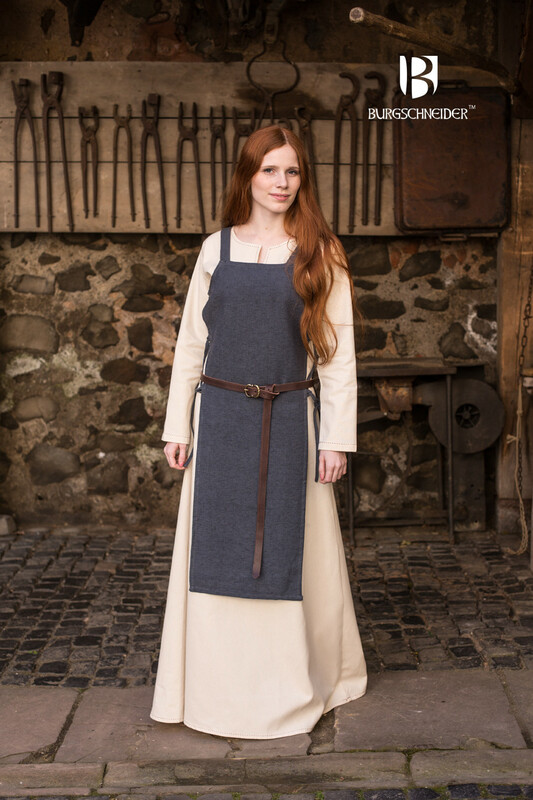 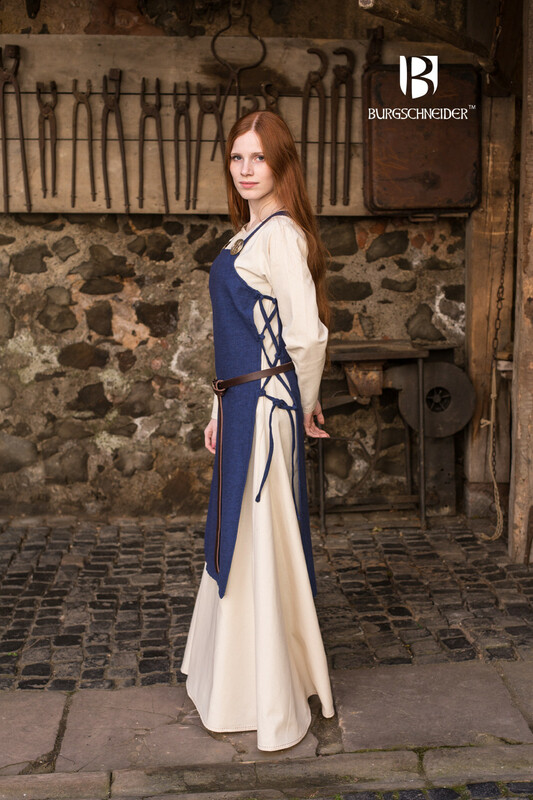 Among the absolute favorites of our design team, the Gyda dress is suitable for Viking and Early Middle Age reenactment and uses a mix of stylistic elements of this epoch, which compliments the female form. 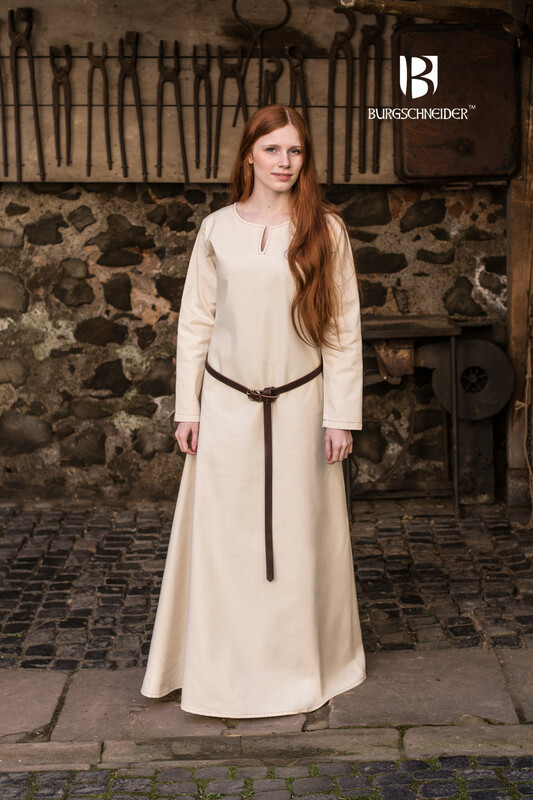 The shoulder straps as an authentic and often used element of women's clothing in the Middle Ages give the dress a very feminine presence. 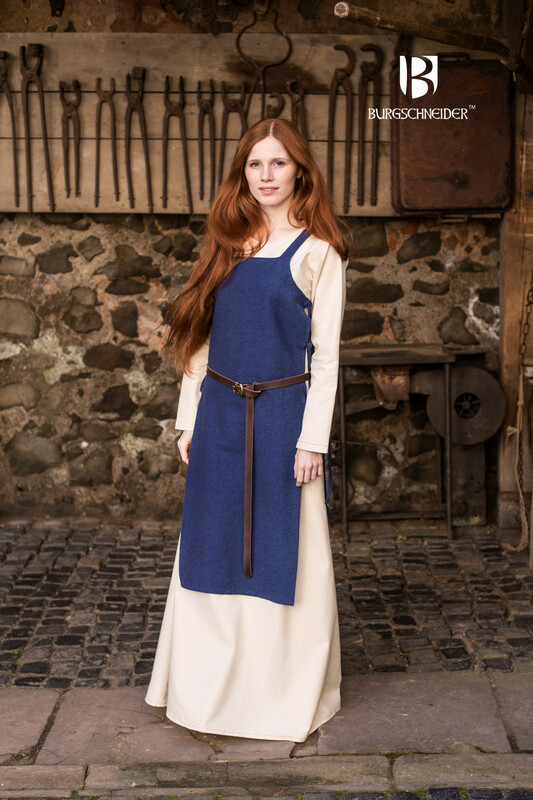 The side straps with their loop guide which makes it possible to create an optimal fit. 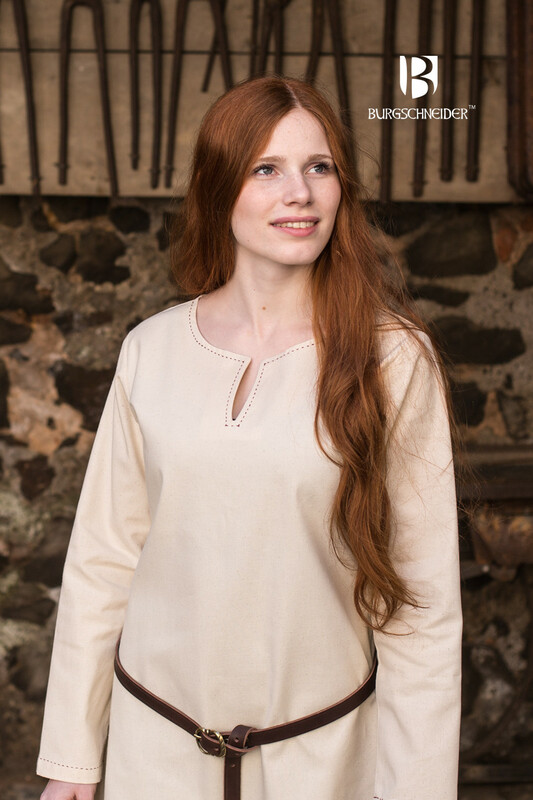 The raw coarse, natural hemp emphasizes, by its original nature, the harsh authenticity of this epoch and garment.